Isn't she lovely, isn't she wonderful? She could pass for the Jantzen diving girl don't you think? 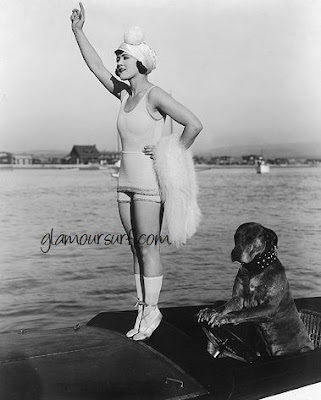 It's Gloria Swanson when she was working for Mack Sennett. I'm not sure who the dog is but she needs her nails clipped. I Only Have Eyes For You!